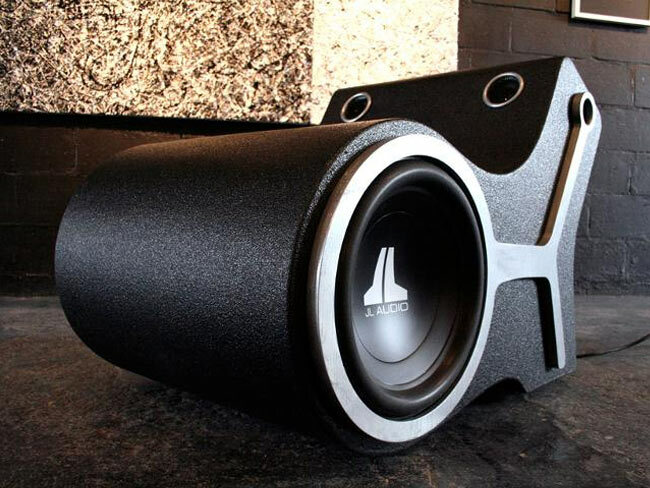 How would you like to sit on 1000 watts of speaker power? The subwoofer chair consists of two 16-inch subwoofers contained within the chair’s structure and is designed to create a thundering bass tone. The chair is predominately designed for teenagers to listen to music either from their iPods, MP3 players or gaming systems. Watch the video in which Greg Ball the designer and creator of the 1000 Watt Subwoofer Chair, explains his reasoning behind creating such a chair. Together with the design process involved, from the CAD drawings to the water cut components. The original idea for the chair materialised back in 2005, when Canadian designer John Greg Ball created the ‘subsonic’ chair’ which became a shortlisted entry in the designboom competition ‘teenage furniture’.